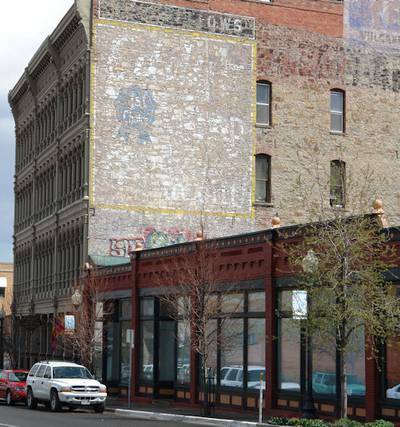 Several properties in downtown Helena, many of them large commercial buildings, are subject to conditions established by an easement granted to the City of Helena in consideration of grant funds used to upgrade the buildings. These are variously called ‘scenic’ or ‘historic preservation’ easements but all of the properties were rehabilitated to a considerable degree during the period referred to as “Urban Renewal”. Typically, the easements apply to exterior changes on those properties and require the approval of the City Commission before work is undertaken. The Helena/Lewis & Clark County Historic Preservation Commission may be consulted to advise the City on whether proposed work is appropriate as to historic preservation. In reviewing the work, the preservation commission uses the standards available to them: the Secretary of the Interior’s Standards for Rehabilitation and the Downtown Design Standards. The Preservation Commission can also advise owners as to how work might be done to be compatible with the standards.